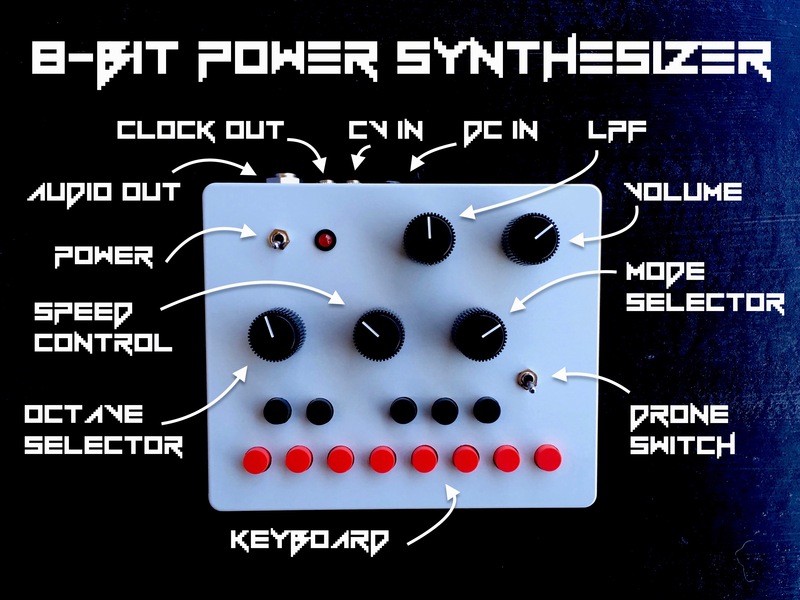 The 8-Bit Power Synthesizer produces lo-fi sounds reminiscent of retro video games. It has a single octave keyboard with an octave control knob to sweep through a full six octaves. It is monophonic and only the highest key pressed will sound. 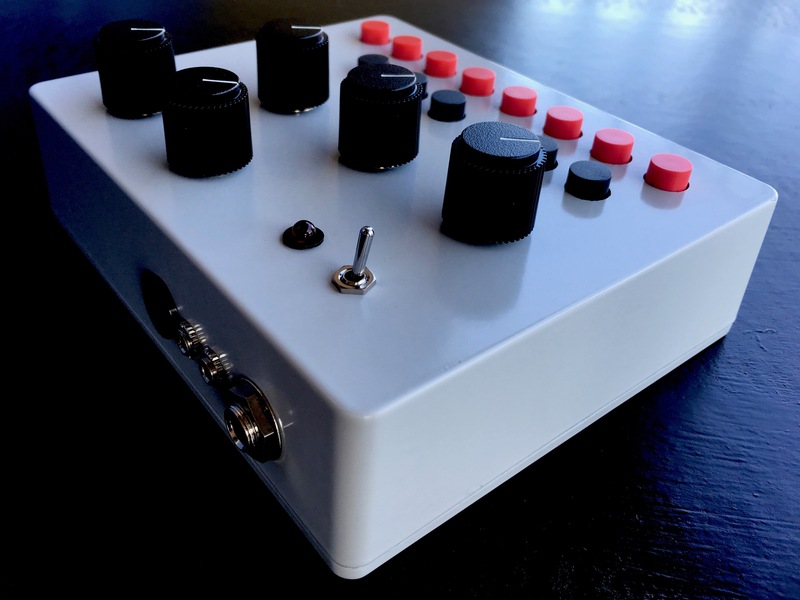 Seven different modes allow for lots of variety and are selectable with a mode control knob. 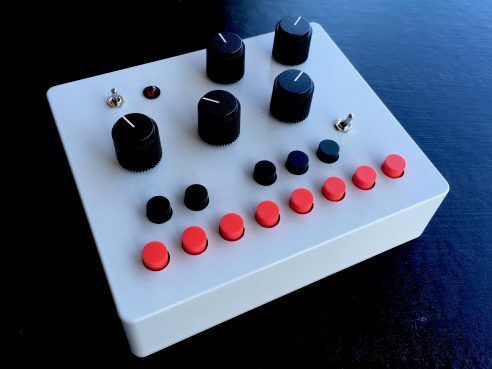 A drone switch plays the last pitch played indefinitely, hands free. There is also a speed control to manipulate patches as well as a low-pass filter and volume control. A CV input (0-5V, 1/8” jack) overrides the octave control. Clock Out (5V, 1/8” jack) provides pulses in time with suitable modes to sync with other devices. CV IN is located next to Power IN and Clock OUT is next to Audio OUT. 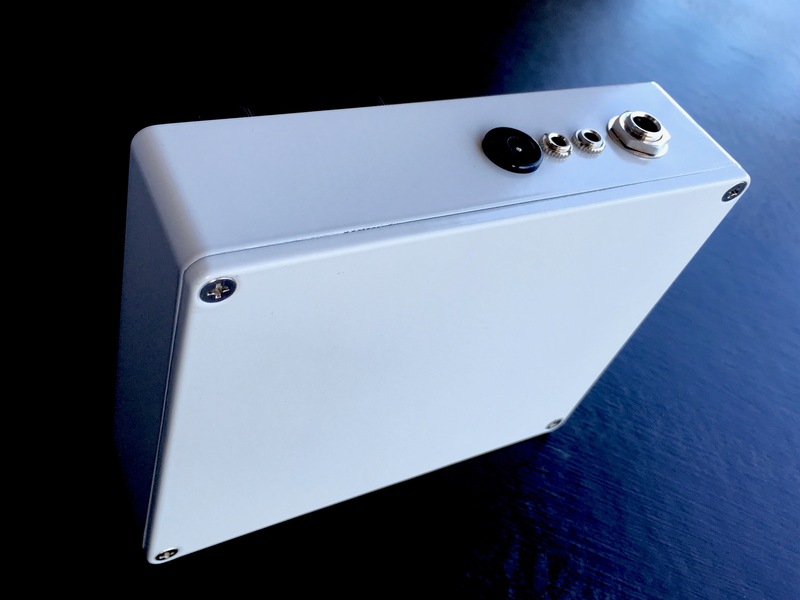 Audio output (1/4” mono jack) is ideal for amps, effects or recording equipment. 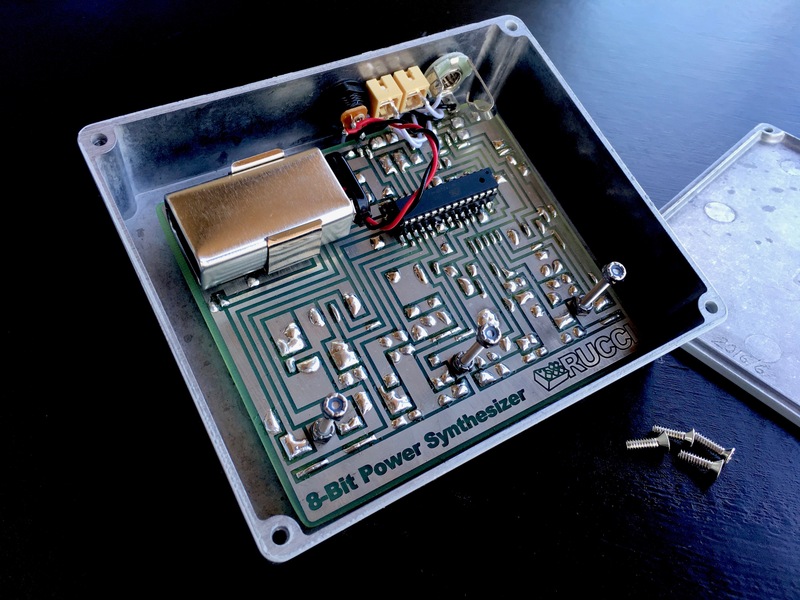 Powered by included 9V battery or 9V DC (Center-Negative) power supply. It is built into a rugged die-cast aluminum case with an NES inspired light-gray paint job. This was designed and hand-built in Oakland, California. Shipping to the US is a flat $10, everywhere else is $22 for the first item and $8 for each additional item.